The announcement that Algerian President Bouteflika won’t run for re-election but will instead postpone the upcoming vote until the conclusion of his recently decreed comprehensive constitutional reform process represented the eighth non-electoral regime change in Africa in as many years, making one wonder whether the world has been ignoring an almost decade-long “African Spring” or if something else entirely is going on across the continent. 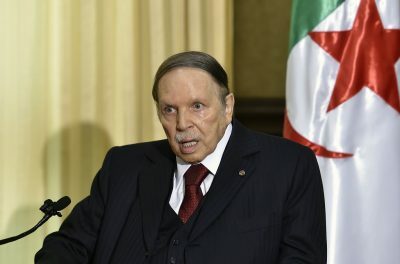 Algerian President Bouteflika’s surprise about-face in going back on his previous decision to run for a fifth consecutive term in office has been the talk of Africa the entire week, with this announcement taking many off guard but nonetheless largely being met with universal applause as the most responsible recourse to avoid an outbreak of violence in this strategically positioned North African state. The country had been experiencing an unprecedented wave of peaceful protests in reaction to his originally declared candidacy fed by the majority-youthful population’s indignation at high unemployment and a stagnant economy, to say nothing of how insulted they felt that an elderly leader who is speculated to be physically and perhaps even mentally incapacitated after suffering a 2013 stroke would be put forth once more as the face of the nation by what are thought to be his powerful military-intelligence “deep state” handlers. A lot has already been written about what might come next in Algeria, but most observers are either analyzing events in a vacuum or are making predictable comparisons to the 2011 “Arab Spring” theater-wide Color Revolutions, neither of which are entirely accurate because they both miss the fact that Algeria represents the eighth non-electoral regime change in Africa in as many years and is therefore just the latest manifestation of a larger trend that has hitherto not yet been brought to the public’s attention. It’s true that there are shades of the “Arab Spring” in what’s presently taking place in Algeria, but simply stopping there doesn’t do the country justice because it misleadingly implies that foreign powers had a predominant hand in guiding the course of events there. It also overlooks everything else of regime change relevance that took place in the continent over the past eight years and therefore inaccurately assumes that this is a one-off event unrelated to anything prior. The whole world is aware of what happened during that time so there isn’t much need to rehash it other than to point out the author’s interpretation of those events as an externally provoked theater-wide regime change campaign that was originally intended to replace long-serving secular governments with Turkish-aligned Muslim Brotherhood ones prior to the inevitable leadership transition that would eventually take place after their elderly leaders pass away. The whole point in preempting this process and artificially accelerating it was to ensure that their successors would remain geopolitically loyal to the US, which couldn’t be guaranteed if this “changing of the guard” was “allowed” to occur “naturally”. Moreover, the US thought that it could weaponize the semi-populist appeal of political Islam in those countries in order to portray its proxies as having the “genuine” support of the public. This nevertheless backfired in Egypt but was ultimately manageable. The sudden onset of progressively violent protests in response to long-serving President Blaise Compaoré’s attempts to change the constitution to run for yet another term quickly resulted in a regime change that was briefly challenged a year later by loyalist special forces in a failed coup. Some observers predicted that the “Burkinabe Revolution” would trigger an “African Spring” against other rulers who had been in office for decades and also were speculated to soon announce their intent to follow in Compaoré’s footsteps and change their own constitutions as well, though this forecast didn’t unfold as expected. Still, the 2014 Burkina Faso regime change could in hindsight be seen as evidence that genuine (as in, not externally provoked, guided, and/or hijacked) protests are capable of unseating entrenched governments and the permanent military, intelligence, and diplomatic bureaucratic structures (“deep state”) behind them. It should also be noted that the international community recognized Compaoré’s resignation and subsequent decision to go into self-imposed exile (thought to be motivated by his desire to evade justice for his alleged corruption and other crimes by the post-coup authorities) whereas they were against the military coup attempt by his loyalists a year later. Most of the world has forgotten about it and barely anyone paid much attention to it at the time anyhow, but a Senegalese-led ECOWAS military intervention toppled Gambian President Jammeh at the beginning of the year after he refused to step down from office following his electoral loss a month prior in December 2016. The leader of this tiny sliver of an African state was also becoming internationally reviled by the West even before the 2016 election because of his decision to withdraw from the Commonwealth of Nations and begin the process of doing the same when it came to the International Criminal Court. In addition, his 2015 declaration of an Islamic Republic also earned him the West’s consternation, not that they needed any other excuses given the aforementioned. The Gambian case study somewhat mirrors the controversial French-led UN intervention that took place in the Ivory Coast in 2011 following a similarly disputed election a few months prior, though the Ivorian leader wasn’t as lucky as his Gambian counterpart in that he was captured by French-backed forces and extradited to The Hague, where he was charged with war crimes but eventually acquitted earlier this year. The lesson to be had from both the Ivory Coast and The Gambia is that international coalitions can be assembled to remove recalcitrant leaders from office who refuse to accept electoral results, though this is less of a “rule” and more of a trend, though one that might gain support at home and/or abroad if it follows highly publicized protests that give the intervention the pretense of legitimacy (whether genuine or not). This rising power in Southern Africa experienced a democratic transfer of power that summer from revolutionary leader Jose Eduardo dos Santos to fellow MPLA member and designated successor João Lourenço in what was initially thought by many to be a carefully coordinated “shuffling of the cards” by the Angolan “deep state” but which eventually proved to be a “deep state” coup after Lourenço quickly went to work eradicating the power structure that his predecessor implemented and even going after the former “royal family” (in particular, his daughter [who’s also Africa’s richest woman and its first female billionaire] and son on corruption charges). Suffice to say, this was a shock for many, though generally a pleasant one for most. The abovementioned events prove that sometimes the “deep state” is the most influential force driving regime change in certain countries, namely those with post-war revolutionary parties that still remain in power. It’ll turn out that Angola might have been an inspiration for what later took place in Ethiopia and just occurred in Algeria, albeit with both unfolding under slightly different circumstances and in varying ways, but the point is that the so-called “powers that be” might either be engaged in serious infighting among themselves and/or decide that the most responsible course of action in the name of national stability is either “shuffle the cards” or carry out a genuine regime change behind the scenes to preemptively or reactively quell (potentially) destabilizing (anti-corruption-driven or election-related) unrest. The tail end of 2017 saw the Zimbabwean military carry out a de-facto coup against nonagenarian revolutionary leader Robert Mugabe during a period of rising civil society unrest in this economically destitute country. 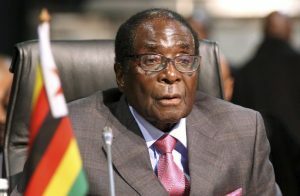 Barely anyone disputes that this was indeed a military coup, and one that was possibly partially inspired by Mugabe’s controversial grooming of his wife as his successor at the expense of the ZANU-PF political and military elite, but it wasn’t legally recognized as such abroad because otherwise the African Union and other actors would have been compelled to impose varying degrees of sanctions against the country in response. This interestingly shows that some military coups are supported by the so-called “international community” while others such as the soon-to-be-described Gabonese attempt earlier this year aren’t, suggesting that there might be certain criteria involved in determining whether such seizures of power (or attempts thereof) will be (even begrudgingly) accepted abroad or not. The 2005 and 2008 Mauritanian military ones and the 2010 Nigerien one weren’t endorsed by the world but serious actions weren’t taken to isolate them both because they uncontestably succeeded and also out of concern for destabilizing the security situation in the terrorist-afflicted West African region. Jacob Zuma was pressured to resign in early 2018 due to what many have interpreted as being a “deep state” coup against him carried out by a rival faction of the ruling ANC led by his eventual successor Ramaphosa. Party infighting heated up after the BRICS leader found himself ensnared in corruption scandals that may or may not have been tacitly facilitated by his rivals, with all of this occurring against the backdrop of rising anti-government unrest and the increasing appeal of opposition parties. Whether out of the pursuit of pure power and/or sensing that the party needed to change both its external branding and internal policies in order to remain in power, Ramaphosa eventually deposed Zuma and took the reins of this rising African Great Power despite the electorate never voting him into office. The 2018 situation in South Africa showed that even the most outwardly stable of the continent’s countries and the one most highly regarded by the “international community” (both Western and non-Western alike, the latter in regards to BRICS) can experience a non-electoral regime change, albeit one that was mostly executed behind the scenes following an intertwined pressure campaign by the public and the ruling party’s rival faction that aspired to enter into power. In a sense, South Africa – which is generally considered to be one of Africa’s most vibrant democracies – set the tone for the rest of the continent because the message that it sent was that all of its peers could potentially do the same without any external criticism being levelled against them whatsoever so long as they pulled it off smoothly and labelled it an “internal affair”. Ethiopia captivated the world’s imagination after its post-war ruling party decided upon the relatively young 41-year-old former military intelligence officer Abiy Ahmed to be its new leader following the outbreak of violent unrest in 2016 that threatened to return Africa’s second most populous country to civil war. 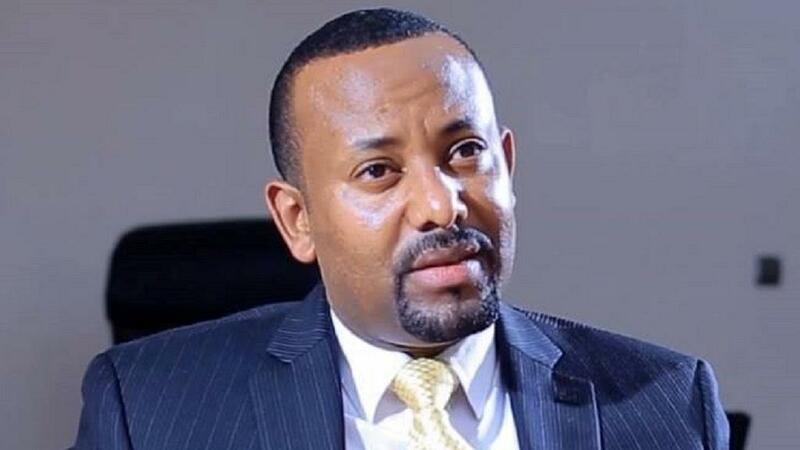 To make a long story short, Abiy is of the Oromo ethnicity that represents the country’s largest plurality but which has traditionally been underrepresented in its ruling class, especially following the rise to power of the Tigray-led EPRDF, but he swiftly got to work dismantling the party’s “old guard” in what can only be described as a “deep state” coup with overwhelming public support. Importantly, he also made peace with neighboring Eritrea and put the two fraternal people’s lingering tensions behind them as they jointly embarked on crafting a new regional future for the Horn of Africa. Ethiopia set the precedent whereby large-scale unrest might serve as an incentive for responsible factions of the “deep state” to carry out a coup against their ruling rivals, building upon the Angolan antecedent in that the Southern African case didn’t occur in response to any significant protests or outbreak of violence like the one in the Horn of Africa did. The events in Ethiopia are also evidence that even the most entrenched and militarily powerful “deep states” are comprised of diverse factions, some of which have radically different ideas than the ruling ones, as might turn out to be the case in Algeria too depending on how the situation there unfolds. The main point, however, is that “deep state” factions might use naturally occurring or externally provoked unrest as their pretext for rising to power behind the scenes and ultimately in public. It’s difficult to categorize what exactly took place last year in the island nation, but it can most objectively be summed up as a semi-popular and possibly externally influenced attempt to actively challenge the country’s regional center by a peripheral unit that felt disenfranchised by democratically instituted constitutional reforms that removed the coup-prone state’s rotating presidency clause. There was briefly fear that Anjouan would attempt to secede from the union once more and that this scenario might provoke another international intervention to restore national unity like what took place in 2008, but these were abated after the military quickly restored law and order after dislodging the couple dozen fighters who attempted to take over that part of the country. What’s important to pay attention to is that intra-state regional disputes could dangerously create the pretext for nationwide or provincial regime changes depending on how the course of escalating political events develops. The Comorian President in this case is thought to have taken advantage of his home region’s demographic (and consequently, electoral) dominance to legitimize his bid to remain in power, demonstrating a variant of other reform methods that have been attempted elsewhere in Africa but custom-tailored to his country’s specific situation. Even though some members of the international community criticized last summer’s referendum, they still accepted it because his initiative did in fact democratically win, even if the odds were stacked in his favor per the demographic factor that was just described. There was global trepidation for the past year after former President Kabila delayed his country’s first-ever democratic transfer of power for logistical reasons that he would try to change the constitution to remain in power indefinitely, something that his traditional Western backers pressured him not to do while his new Chinese patron remained silent about on the basis that its political process is an internal affair (though its strategic cobalt interests there might have played a role in its position to stay on the good side of the government). The country gradually slid into an undeclared state of low-level civil war that could more accurately be described as a hybrid one and which could have exploded on command into a much larger conflict had he not unexpectedly reached a speculated deal with one of the opposition leaders to supposedly allow Tshisekedi to replace Kabila while the former strongman would remain the “grey cardinal” after his party came out on top in the parliamentary elections. International media and local activists decried this stunt as a blatant undermining of what should have been a democratic transfer of power that some observers said would have rightly resulted in Fayulu winning had the vote truly been free and fair, but that candidate posed the greatest threat to the Congolese “deep state” that owes its lucrative existence to Kabila and was – as the narrative goes – sidelined in favor of Tshsekedi, the son of a well-known opposition leader. This can be seen as a hybrid form of both an “internationally recognized” election and a “deep state” coup, the former of which was universally recognized probably because of the multilateral interests involved in retaining stability in the mineral-rich country (at least for the time being) while the latter was suppressed in order not to sully the optics of the DRC’s “first-ever democratic transfer of power” (and consequently the soft power of those who endorsed Kabila’s cunning plan). As was touched upon earlier, there was a failed attempt to stage a military coup in the economically stratified and politically polarized country of Gabon where an ageing and ailing leader continues to rule as part of a political dynasty that’s been in power for over half a century. The regime change operation was quickly put down by the rest of the military forces that didn’t join in the coup, though the event succeeded in shedding global light on the underlying tensions prevalent in this OPEC member country. It also temporarily raised concerns about whether the French would use their in-country military forces to aid the embattled government and “restore democracy” if the rebels succeeded in seizing power from their proxy. Because of its sudden onset and abrupt end, the international community had no choice but to reactively condemn it like they always usually do whenever something of the sort happens, but it might have been begrudgingly accepted just like the Mauritanian and Nigerien ones that preceded it earlier along this timeline if it succeeded without any serious resistance. That wasn’t the case in Gabon because it seemed like the military faction of the “deep state” is satisfied with President Bongo, possibly due to some behind-the-scenes patronage relationship, and therefore wouldn’t want to sacrifice their own self-interests even in the name of settling a still-lingering electoral dispute that sharply divided the nation a few years prior. The typical target seems to be a long-serving elderly leader with speculative health concerns who represents a power structure (whether his own or inherited) that increasingly large segments of the population and/or a faction of his “deep state” has come to believe (whether on their own or with foreign infowar and NGO “nudging”) doesn’t support their interests. They’re also usually plagued by accusations of corruption (whether real, exaggerated, or false) that serve to incite unrest during periods of nationwide economic hardship caused by either systemic mismanagement, Hybrid War, and/or a drop in the price of primary exports (oil, commodities, etc.). It’s usually the case that something directly or indirectly related to an impending “changing of the guard” or political transition triggers the non-electoral regime change movement, be it efforts by the incumbent to change the constitution in order to run for another term, declaring their candidacy for the x-consecutive time after already serving for many years, fears by a “deep state” faction that the incumbent will lose the next election and therefore lead to their successor possibly dismantling the power structure they inherit (usually on “anti-corruption” grounds for populist appeal), a disputed election, or in the case of the “Arab Spring”, the perception of so-called “regional momentum”. Most non-electoral regime changes succeed because of factors beyond the public’s view, namely the state of affairs within the “deep state” and in particular the loyalty of the military forces that enjoy a legal monopoly on violence by virtue of their being. It’s important, however, that there’s some “plausible” public pretext for the regime change, be it protests, a corruption scandal, or a disputed election, and the unity of the “deep state” is also another important determinant because rival factions might abuse the aforesaid for their own purposes. Sometimes the threat of sanctions against the incumbent and their clique for using force to quell unrest could widen “deep state” divisions and facilitate regime change. Who’s Next On The Chopping Block? President Biya won his sixth term in office late last year following a serious breakdown of law and order in the separatist Anglophone region abutting the Nigerian border, which came on the heels of Cameroon finally seeming to surmount the challenge posed by Boko Haram in the northern part of the country. The primary geostrategic consequence of his ouster under the possible scenario of a nascent Color Revolution in the cities merging with the Unconventional War in the rural periphery might be the destabilization of what the author described as China’s plans to create a “West-Central African CPEC”, though if managed properly by the “deep state”, it might contrarily stabilize this megaproject’s viability if the choreography succeeds in placating the population. The other less-discussed Congo located between the DRC and Gabon, this one is presided over by one of Africa’s longest-serving leaders who recently joined OPEC and also put an end to a simmering insurgency in the Pool region surrounding the capital. Unlike Cameroon, it’s less clear what the geostrategic consequences of a non-electoral regime change here could be, but it might potentially be a factor in whether the country continues to remain within the joint orbit of France and China or decisively pivots to one or the other. In this sense, it could change the “balance of power” in Central Africa and contribute to the gradual retreat of Françafrique in the face of overall Chinese gains in France’s historic “sphere of influence” and Russia’s recent ones in the Central African Republic. Occupying the pivot space between Saharan and Equatorial Africa, President Idriss Deby came to power on the back of a coup in 1990 and has remained in office ever since, mostly relying on the fact that his country’s military is regarded as one of the strongest in all of the continent and has an operational reach as far west as Mali. He’s not without his domestic detractors, however, some of whom have led large rebel formations towards the capital in several unsuccessful coup attempts that were at times thwarted through the intervention of his French ally, such as last month when Paris bombed an anti-government convoy that crossed into northern Chad from Libya. For all of its faults, Chad seems to be “too big to fail” for France and it’s unlikely that the former colonizer will ever let this prized piece of real estate slip from its grasp. President Teodoro Obiang Nguema Mbasogo has reigned for nearly four decades and survived numerous coup attempts, some of which were planned by mercenaries in this tiny but oil-rich island-coastal nation in the strategic Gulf of Guinea. Being located where it is and with the resource wealth that it has, it’s an important piece of the African chessboard that France might want to pry away from its American ally in order to reinforce its policy of Françafrique that’s facing its greatest threat ever from China and Russia in Central Africa. Apart from the “friendly competition” between those two Great Powers, there isn’t really much else that can be said at this time about the possible outcome of any non-electoral regime change in Equatorial Guinea. The incumbent leader has only been in power for a few years, but he represents the corrupt and increasingly reviled FRELIMO party that’s been ruling Mozambique since independence, though to their credit, the authorities have been progressively implementing what appears to be a “phased leadership transition” to incorporate the former RENAMO rebel opposition into the country’s “deep state” as part of a peace deal. That said, this responsible arrangement could always collapse at any time, and the country is nowadays threatened by mysterious jihadists who’ve been wreaking havoc along the northern borderland with Tanzania, so “black swan” developments that might trigger a non-electoral regime change are more likely here than in most of the other predicted targets, which could have an impact on global LNG geopolitics given its sizeable offshore reserves (coincidentally located in close proximity to where the new terrorist threat emerged) and regional security. Sudan is undoubtedly in the throes of a multifaceted Hybrid War that the author elaborated upon at length in a previous piece late last year and which should be skimmed for reference if one’s interested in the strategic nuances involved, but the latest update is that its “deep state” might be preparing for a “phased leadership transition” in a manner which seemed to have influenced the Algerian one that suddenly followed soon thereafter. Simply put, Sudan is indispensable to China’s Silk Road vision for Africa and is also Russia’s gateway to the continent, so its destabilization and possible “Balkanization” like President al-Bashir warned about a year and a half ago would inflict very serious damage to multipolar integration processes all across the continent. Finally, the country that most closely fits the criteria of the author’s non-electoral regime change model is Uganda, the military heavyweight in the transregional East and Central African space that’s been ruled by President Museveni for the last one-third of a century. During the last few years, however, his mostly-youthful population (which is also one of the fastest growing in Africa, notwithstanding the large amounts of migration [sometimes illegal] that it receives) has become restive and most recently (and one can argue, quite naively) placed their hopes in the singer-turned-politician Bobi Wine because they see in him a comparatively younger face of anti-systemic change. However a non-electoral regime change might unfold in Uganda, its consequences would change the entire “balance of power” in this strategic part of the world at the height of the New Great Game and modern-day “Scramble for Africa” in the New Cold War. Using the latest events in Algeria as the lead-in to discussing the other non-electoral regime changes and attempts thereof that took place in Africa since the “Arab Spring”, it’s clear to see that three separate – but sometimes interconnected scenarios – have unfolded, be they Color Revolutions like in the aforementioned 2011 events, genuine non-externally-influenced people’s movements like 2014 Burkina Faso, or “deep state” coups such as what took place in 2017 Angola and which later structurally inspired the subsequent ones in Ethiopia and Algeria (both of which were driven in part by the first two scenarios). All countries have power structures (“deep states”), but some are more flexible than others when confronting bottom-up pressure (which may or may not be externally influenced – and in the future, possibly weaponized against China’s geostrategic interests), which usually makes or breaks the regime change operation and will determine whether the forecasted targets will survive if they end up on the chopping block too.